This has got to be the coolest Halloween costume ever! Sorry for the lack of updates here lately, I haven't had much time to work on any of my personal projects or comment on the news flow. But another trailer from the game I'm working on has hit the web, so check it out. Another Just Cause 2 video has found its way onto the intertubes. There's a new demo available that illustrates a technique for seamless decals on arbitrary geometry. Shoot a paint splash in front of you by clicking the mouse. Select colors on the F1 dialog. It's hours of fun! This technique will be featured in the upcoming GPU Pro book I mentioned in the previous post. In the "Volume Decals" article I cover all the dirty details of the inner workings as well as suggestions for alternative implementations and extensions. In the not too distant future the book GPU Pro - Advanced Rendering Techniques will be published. If you haven't heard of it, it's basically what was formerly known as ShaderX 8, with the distinct difference that it'll be in full color, which is great. The book has a blog over here where additional information will be posted soon. "Making it large, beautiful, fast and consistent – Lessons learned developing Just Cause 2"
The slides from the Siggraph 2009 course Advances in Real-Time Rendering in 3D Graphics and Games are available. Plenty of interesting stuff. Thanks for Natasha Tatarchuk for the heads up. Back in February I made a blog post about HDR cameras. Since then a few things have happened. Pentax released their K-7, which is the first SLR with built-in HDR. It's taking the traditional approach of multiple exposure and consequently needs a lot of processing after shooting (12 seconds according to some sites). Recently Sony released the a500/550, which is both faster (2 seconds) and unlike K-7 has built-in image alignment which should allow for handheld HDR photography. Fujifilm also released the F70EXR, which is a cheaper variant of the F200EXR. Fujifilm is still the only vendor to use an actual HDR sensor and thus need no particular processing at all. All manufacturers are still only producing a final jpeg image unfortunately. Fujifilm would be in a position to offer a RAW format with HDR since they have it built into the sensor, whereas the other manufacturers could opt to use the EXR format. 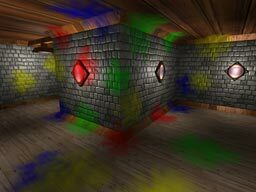 Anything that allows you to post-process the tonemapping would be great. But this is still early and I'm sure better solutions are around the corner and this is all a very exciting development. 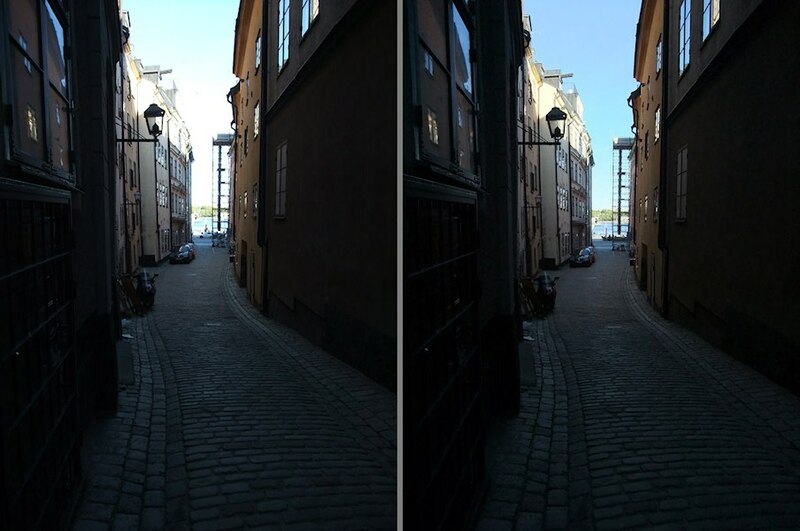 The picture on the right has HDR enabled. The picture on the left is about what every other camera would produce. The pictures are taken at the same time with the same settings and no other post-processing was done other than resizing for the web. I'm convinced that HDR will be the next big thing in photography. It's been over a year since I added new cubemaps to this site, but that doesn't mean I haven't been shooting any. I just haven't bothered to zip them up and upload before. So here's a large batch of 21 new high-res photographic cubemaps. Grab them in the Textures section.